A few weeks ago I posted our list of house projects we want/need to tackle to get ready for foster care. On that list I included "Special hidden blessing" for each of the bedrooms we are equipping for children. 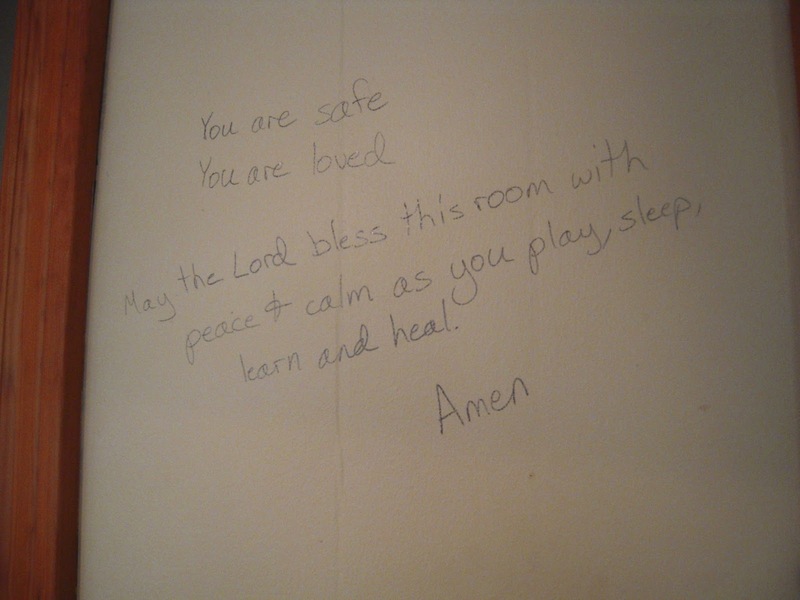 It is exactly as it sounds...we have hidden a blessing in these rooms. This idea began as something else. I thought of getting wooden craft letters, painting them to match each room and putting them on the wall to show the message: You are safe. You are loved. But after Trent and I discussed it for a bit we decided that, while we want the foster children in our home to be surrounded by positive reminders that they are indeed safe and they are indeed loved, we don't want those reminders to be presented in a way that is really more of a reminder that they are in foster care, that their family is in limbo, that this is out of the ordinary. 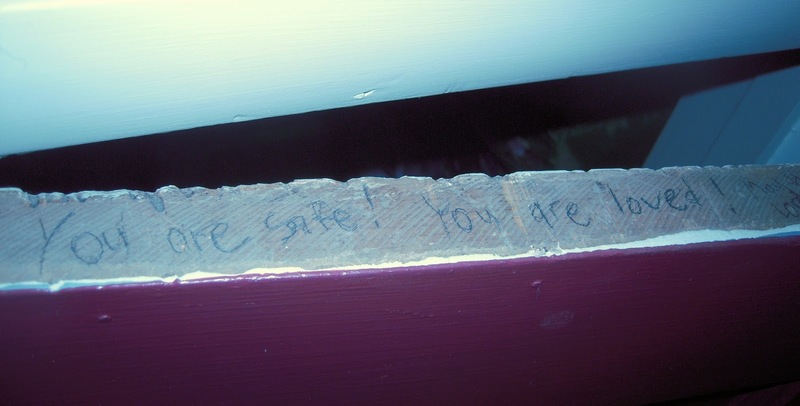 Seeing "You are safe. You are loved." on a daily basis could end up being a daily reminder of the situation that brought them into foster care, a situation where they were likely not safe and not loved. They'll have plenty of reminders of that without us adding to them. But we still wanted this statement to be present in their rooms. So we hid it. 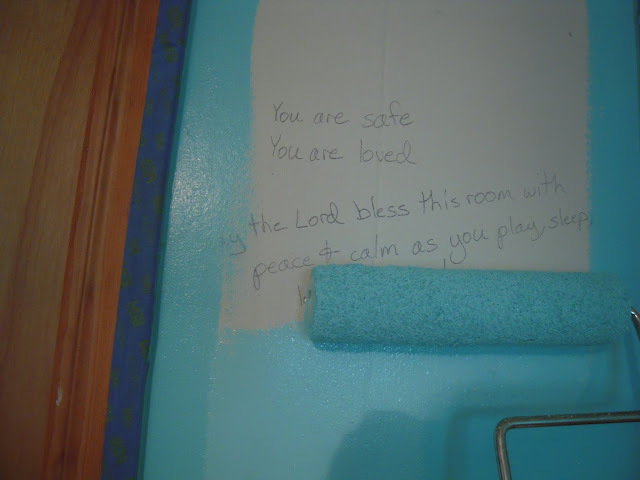 For our baby room, I grabbed a regular Crayola marker and wrote our blessing for this room right onto the wall. 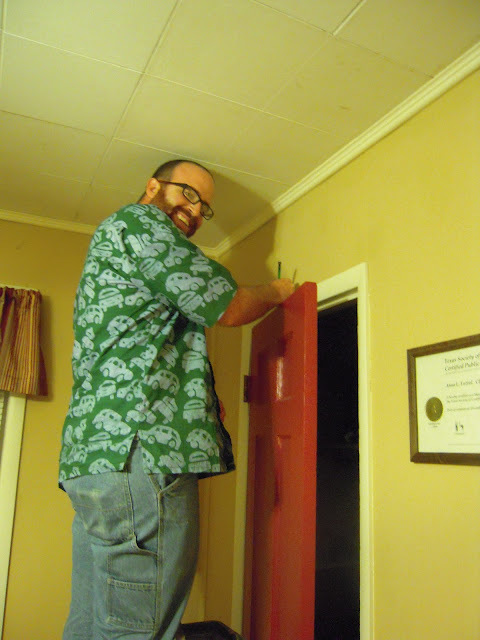 Then I painted over it. This is a resilient blessing. It took three coats of paint on this section of the wall to truly cover up these words. For our kid room, since we are not going to repaint the walls in there, we needed to find another place to hide this blessing. Nobody looks at the tops of doors right? So there you have it...our very intentional, yet very hidden blessings in our kids' rooms.